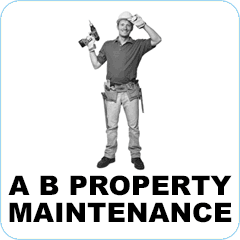 A B Property Maintenance are a local, Wakefield-based, property maintenance company who place our customers above everything else. Regardless of your requirements, we will strive to turn your house into a home you can be proud of. We specialise in restorative work following damage caused by fire, flooding or any other disaster that may have stricken your home. We work with your insurance company to restore your home to its former condition as quickly and effectively, minimising disruption and stress. A B Property Maintenance are perfectly positioned to offer experts repairs to your roof, fascias, soffits and guttering. We are also able to help with issues on flat roofs. As well as this, we can install and offer repairs to fencing, paving and patios, in addition to our pointing and walling service. Whatever your requirements, call us for a free, no obligation estimate.